This alert applies to Northern Territory private organisations, community service organisations and aged care organisations that deal with animals in the carrying out of their operations. The alert will likely amend the NT – Animal Welfare and NT – Research – Teaching or Research Involving Animals modules. Please be advised that the Animal Protection Bill 2018 (NT) (the Bill) was read for a third time in the Committee on 30 October 2018 and is currently awaiting assent by the Administrator of the Northern Territory. The Bill comes into operation on the day fixed by the Administrator by Gazette notice. 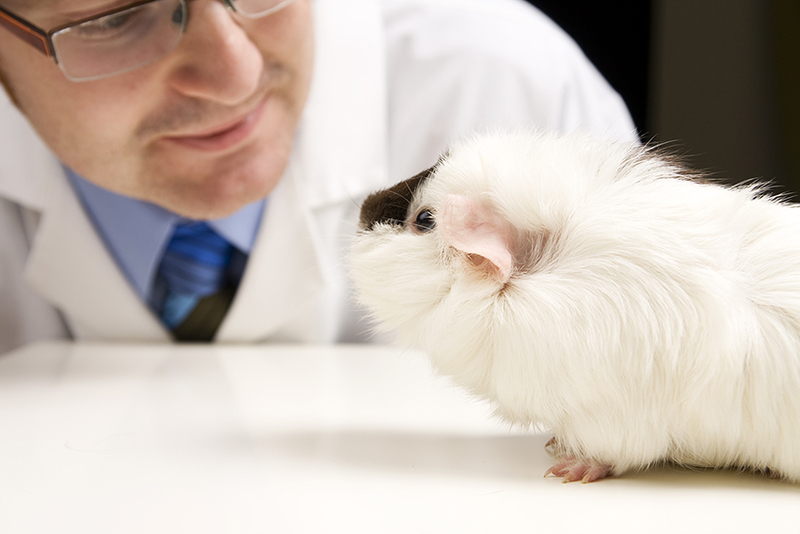 providing accredited animal ethics committees with increased oversight for research projects they approve. This alert sets out some of the major changes in the event that the Bill is enacted. For more detailed information in advance of amendments to the relevant modules please contact Law Compliance. As per the Animal Welfare Act 1999 (NT) (the Act), the Bill prescribes a duty of care offence in relation to an animal, although with some differences. Whilst the Act prescribes an offence for a person in charge of an animal to fail to take reasonable steps to ensure that the animal receives the minimum level of care (see section 8 of the Act), the Bill makes it an offence for a person that has control of an animal to intentionally engage in conduct that results in the animal not being provided with the minimum level of care (see section 23 of the Bill). Under both the Act and the Bill (section 7 of the Act and section 6 of the Bill respectively), an animal must be provided “appropriate…food and water” and be allowed “appropriate exercise” among other things, in order for the minimum level of care under the Act (and likewise the Bill) to be discharged. In relation to the minimum level of care, the Bill expands on the explanation of what is “not appropriate” to situations where the conduct “…contributes to, or is likely to contribute to the animal suffering…”, however, adds the qualification that it must be “…unjustifiable, unnecessary or unreasonable in the circumstances…”. The Bill retains the offence of cruelty under section 24 (note that the offence has been re-structured – see section 24 of the Bill). As for the duty of care offence under the Bill, the Bill would require the “suffering or harm” caused to the animal as a result of the conduct to be “unjustifiable, unnecessary or unreasonable”. In addition, the Bill adds a range of more specific offences in relation to cruelty (i.e. intentionally beating an animal; intentionally abusing or torturing an animal; etc). Each of the 7 offences under section 24 of the Bill prescribe a penalty of 200 penalty units or imprisonment for 2 years – greater than the prescribed penalty of 150 penalty units or imprisonment for 18 months for cruelty under the Act (see section 9 of the Act). Significantly, the Bill includes section 109A which expressly recognises the right of Aboriginal communities to conduct cultural practices and hunting and fishing activities in accordance with their traditional laws and customs. This recognition is supported by a defence to 6 of the 7 cruelty offences (abusing or torturing an animal being the exception) set out in section 24 of the Bill, for activities carried out by Aboriginal persons in accordance with their traditional laws and customs. The maximum penalty for aggravated cruelty under section 25 of the Bill is increased from 200 penalty units or imprisonment for 2 years to 500 penalty units or 5 years imprisonment. Further, the Bill would make recklessness as to whether the conduct causes “serious harm or death” sufficient to satisfy the second element of aggravation. In comparison, the Act currently requires intention to cause the same. Furthermore, the penalty for aggravated cruelty is applicable to all animal cruelty offences under section 24 of the Bill in the case that the elements of aggravation are present in the commission of the offence. This is different to the Act, for which aggravated cruelty is a distinct offence separate to the offence of cruelty under section 9 of the Act. Section 14 of the Act requires a person to obtain a licence by making an application to the Animal Welfare Authority in order to conduct teaching and research using animals on a premises (a person holding a permit under the Act, or a person assisting the permit holder are excluded from the operation of the provision). The Bill replaces this system through section 40: only permitting a registered person, a person engaged by a registered person or a student in some circumstances to use animals for scientific purposes. A person achieves registration by making an application to the CEO, who is vested with administrative power under the Bill. Teaching and research (the relevant term under the Act) means teaching or research involving the use or breeding of animals. Scientific purposes (the relevant term under the Bill) – An animal is used for scientific purposes if the animal is used in connection with an activity performed to acquire, develop or demonstrate knowledge or techniques in an area of science. The use of an animal for scientific purposes also includes using any of the remains of an animal killed for the purpose of performing an activity mentioned in the definition (above). The Bill requires a registered person (in addition to registration) to have a project approval in place in order to conduct scientific research on animals. It would be an offence to do so without an approval or to conduct research in contravention of the approval or its conditions (see section 69 of the Bill). The Application for approval must be to an accredited animal ethics committee (AAEC) under section 59 of the Bill. This would replace the requirement for a person to obtain a permit under section 44 of the Act in order to conduct a teaching or research program. Under the Bill, if an organisation wishes to apply for accreditation of an animal ethics committee, the organisation must make an application to the CEO. The Bill would prohibit AAECs from dealing with applications outside their terms of reference. An AAEC would also be under an obligation to produce an annual report to the CEO detailing prescribed particulars set out in section 73 of the Act. The Act makes it an offence to breach a condition of a licence (which may include an obligation to comply with a specified adopted code of practice – see section 34 of the Act). In contrast, section 70 of the Bill would make it an offence to fail to comply with the scientific use code and any applicable code of practice adopted or prescribed by regulation if the person is reckless in relation to that result. The penalty for failing to comply with a code under the Bill is 100 penalty units or 12 months imprisonment – greater than the penalty for breaching a condition of a licence under the Act (10 penalty units or 12 months imprisonment). Section 74 of the Bill would require a registered person to report to the CEO and the accredited animal ethics committee any conduct that the registered person believes on reasonable grounds is a contravention of Part 4 of the Act (Regulation of scientific users of animals) within 7 days of forming the belief, as opposed to the Act which requires this to be done as soon as practicable from the time the licensee under the act becomes aware (see section 34B of the Act). the officer recklessly failed to take reasonable steps to prevent the contravention. The Bill would repeal the offence of aiding and abetting the commission of an offence under the Act (section 74 of the Act).